Or the chance of financing it, too." 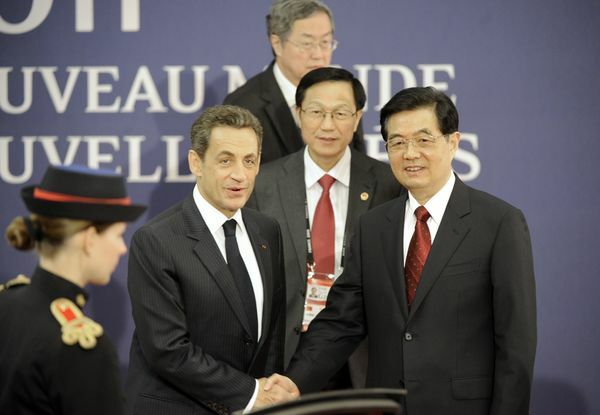 When President Nicolas Sarkozy, host of this week's G-20 summit in Cannes, met Premier Hu Jintao for dinner, he would have hoped to wine and dine the Chinese leader into backing the European Financial Stability Facility (EFSF) with some of his country's $3 trillion in foreign reserves. Instead, the entire project has been thrown into doubt by Prime Minister George Papandreou's call for a Greek referendum on his country's bailout. Alarmed that the referendum is likely to fail, European leaders have responded with an ultimatum, in the words of Chancellor Angela Merkel: "Does Greece want to remain part of the euro zone or not?"